Active duty military pilot Michelle Curran is no stranger to Las Vegas, but when she received the assignment to move to the valley, her limited experience and knowledge of the city led her to believe she most likely rent while living here. 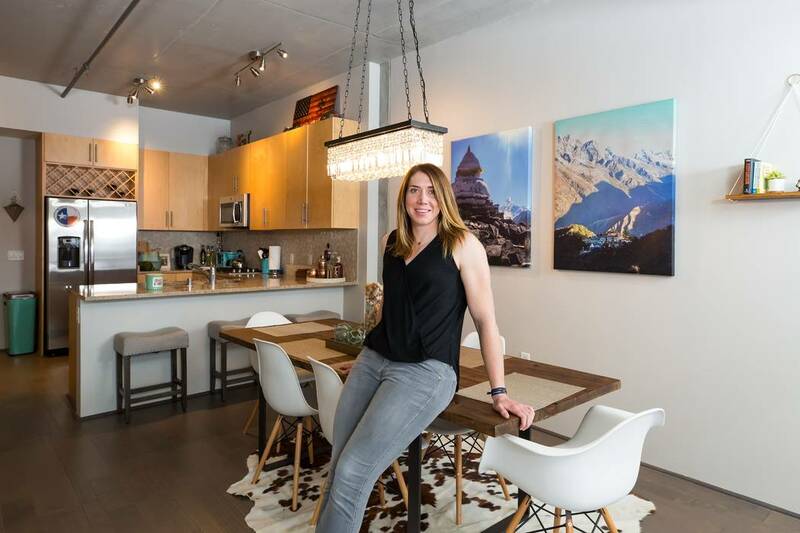 But after speaking with many valley residents, she realized the opportunity to buy is now and there’s no better place to plant roots than in downtown Las Vegas, which offers a dynamic social and dining scene and unique communities like Juhl, a 344–residence, loft-style community. Curran fell so in love with the community, she put in her offer the same day she visited the sales office. She purchased her home using a Veterans Affairs loan and shared her buying process was seamless and quicker than she anticipated, closing in about 45 days. And as someone who isn’t a big fan of suburbia and cookie-cutter neighborhoods, Juhl was especially attractive to her. “My last house in Texas was nearly 100 years old and it had great character, so when I started my search for a home in Las Vegas, I was doubtful I’d find something I loved as much and with thoughtful architectural design. Juhl fit the bill perfectly. Every detail from the inside and out was carefully crafted and developed to create the community’s overarching urban aesthetic. And more importantly, each residence is unlike any other, which makes homeowners like me proud to call my home truly one-of-a-kind,” Curran said. Curran travels often for her job, so Juhl’s safety and security was a major selling point. The community’s lock-and-leave lifestyle gives her peace of mind, and with convenient freeway access, she can be at the airport in about 15 minutes. “Juhl has an on-site fitness center, so as someone who has to maintain a healthy physique, having a workout facility right in my building is a major selling point. And because I also like to eat healthy, some of my favorite lunch and dinner spots include Greens and Proteins and Le Pho, both located in The Promenade on the ground level of Juhl,” Curran said. When Curran’s family visits from out of town, they look forward to visiting her and her home at Juhl. “My niece recently visited and spent most of her time at Juhl’s resort-inspired pool. I could hardly pull her away,” she said.